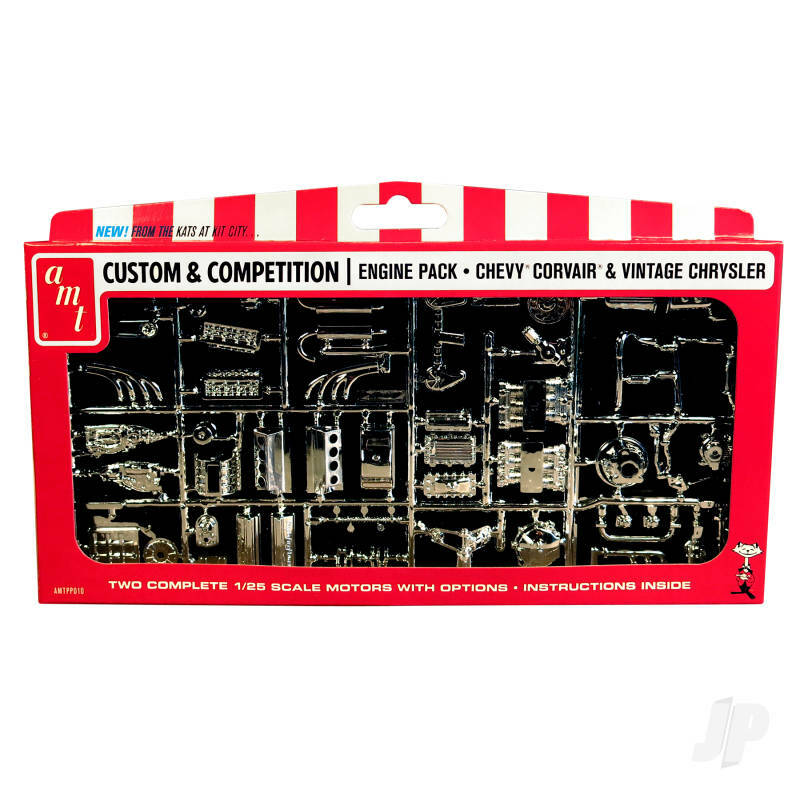 A Custom and Competition Engine Parts Pack from AMT. AMT's Chrysler and GM Chevy Corvair Motors Parts Pack is back. It features components for two complete motors, an early Chrysler and an air-cooled Chevy Corvair "145". Both engines include optional parts and are fully chrome plated for the ultimate in show-stopping appearance.